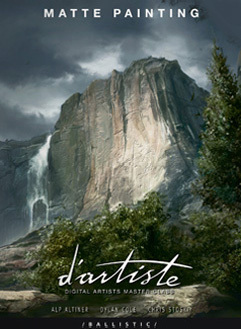 d'artiste: Matte Painting showcases the skills and techniques of leading Hollywood matte painters Alp Altiner, Dylan Cole and Chris Stoski. In over 70 pages of detailed tutorial this book takes readers through the matte painting techniques used to create breathtaking, photo-realistic sets and backdrops for films including ‘Star Wars: Revenge of the Sith’ and the ‘Lord of the Rings’ trilogy. 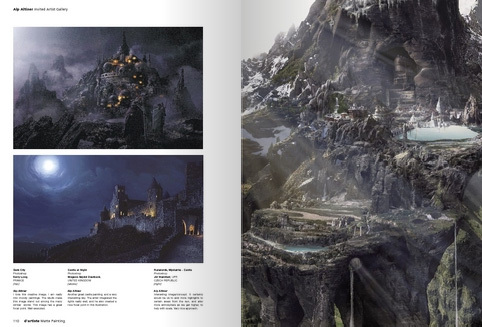 "Matte painting does not leave any questions unanswered" Art Scene International.